Bow at the knees of the Leprechaun King and maybe he will reward you in return! The Leprechaun King is a slot that comes to you from developer High 5 Gaming, and is exposed to all the top slot sites. Yes it’s another Irish themed slot! 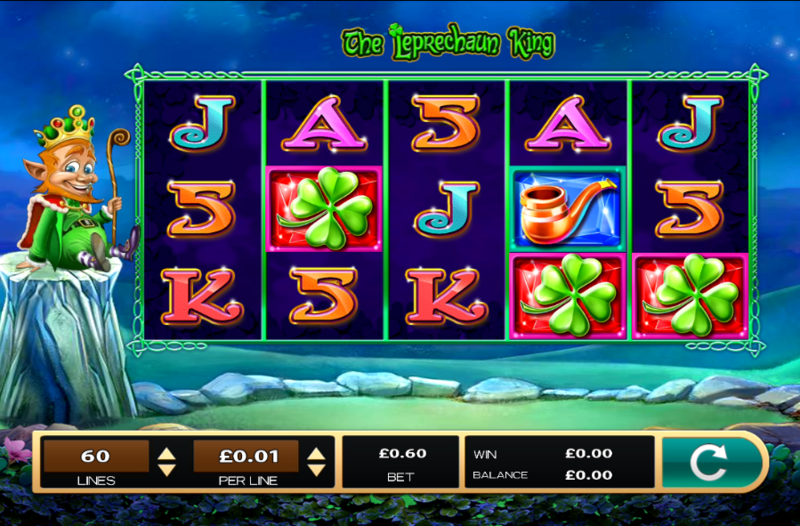 A 5 reel slot by 3 rows, The Leprechaun King is one that has actually been around for quite a while now, although it has maybe gone over the heads of some online slot gamers for some reason despite being a highly enjoyable game in its own right. You can expect there to be a very unique mix of additional features and gameplay elements in this one, which if anything is the slots unique selling point. We love it when slots try something different, and High 5 Games have clearly tried that here. Want to learn more about this one? Check out the rest of the review below! Stacked Wilds: Stacked wilds are very useful in this game in that they give you double the score for simply matching them outright. They do work in the traditional wild sense in that they can substitute symbols, but the fact that they stack is only going to work forever in your favour. Pick Bonus: Finding 3 crowns on the reels will unlock this feature, where one will be given the chance to choose their own bonus by hand! Be sure to check out our Easy Slot promos, available on our designated promotions page! Why you should be playing this one comes down to just how fun everything is to play, also this slot is actually quite fresh considering that the Irish theme has been done time and time again, making it quite difficult to find a slot that is worthy of your money and time. Well we’ve found it! Be sure to check out The Leprechaun King whenever you can, it’s great! 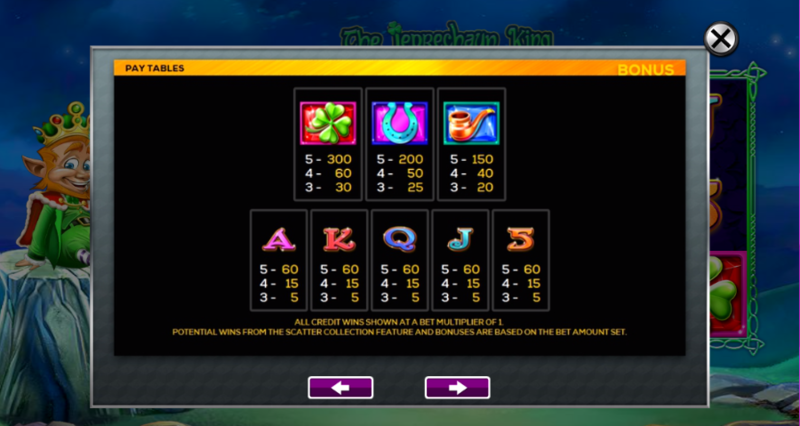 If you enjoyed The Leprechaun King why not try more games like it on Easy Slots.